Wow... just wow! That was a powerful ending! 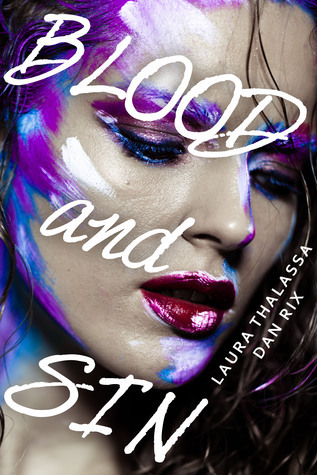 Blood and Sin is the first book I've read by Laura Thalassa and Dan Rix. I wasn't sure what to expect but I must say I was pleasantly surprised. Blood and Sin is told from both Lana's and Asher's POVs. Lana is an infernari from Abyssos while Asher is a human, an infernari hunter. Asher has been hunting infernari for years and even more so in the past two years since tragedy struck his family. Lana is a healer, she's very different to the other infernari who is mostly about death and destruction. Her natural instinct is to heal and she doesn't kill, ever. Asher and Lana are the last persons you would expect to cross paths, and yet they have and they got themselves stuck together running away from other infernaris out to kill Asher. They became closer and closer and in the end something happened that left us all hanging. I really hope to see more of Asher and Lana in the next book!